As a teacher I understand the value of having good teaching materials. 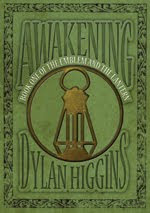 As such, I have prepared a student workbook for Awakening, Book One of The Emblem & The Lantern. This workbook includes, but is not limited to, comprehensive questions, sequencing, map skills, drawing skills and predicting the outcome. In addition there is an answer key available... for the teachers of course! Click HERE to download the teaching aids in pdf format. Click HERE to download the novel soundtrack that is needed for the workbook. Click HERE to access the novel videos to enrich the reading experience.